Things app has been redesigned and includes new features besides the simple to-do list. Now more details and tags can be added to make the lists searchable, and also there is an added functionality to link to the other devices. There is now an added function to set short and long-term goals which I really like. Larger projects can be broken up into headings to make them more manageable. Headings are a true productivity booster. They give a nice visual structure, but can also help you easily rearrange whole groups of to-dos simply by dragging and dropping their heading. I recently started using Evernote and have found it so useful. It is a versatile app that can save notes, in both audio and text format, organize photos, set reminders, and upload attachments. What I have found very useful is that I am able to bookmark various web articles and store them for reading later, saving the need to have my millions of tabs open as I used to do. I can also sync across many devices which have really streamlined the way that I work. IFTTT (If This, Then That) which is great to create customizable applets without any programming experience. It allows you to link various services together to create pathways and recipes that trigger various actions depending on the conditions that you set. There are now more than 300 channels spread across a range of devices and services, including social networks, smart appliances, smart home systems, and devices such as weather stations, audio systems, and wearables. There is ample room for customization. And, it is completely free. It is easy to get distracted while writing my talks and workshop plans. Rescuetime is a great analytical tool that runs in the background and monitors my use of various apps and platforms, and in doing so enables me to understand my daily habits. There is an option to understand where the inefficiencies are and adjust accordingly, and also set alarms which can be triggered if I spend more than a certain amount of time on any of the social media platforms. You can set goals to help keep you on track and improve your productivity, and view your progress on your dashboard, in the weekly email report, and in the goals report. Amongst the premium features, there is also an option to block the most distracting sites, but there is an incredible array of features on the free version. What I find most useful is the data on my daily work habits which lets me visualize how I work at different times of the day, and be in control of how I can be more productive every day. keep an eye on the overall progress, identify bottlenecks and better manage the flow. 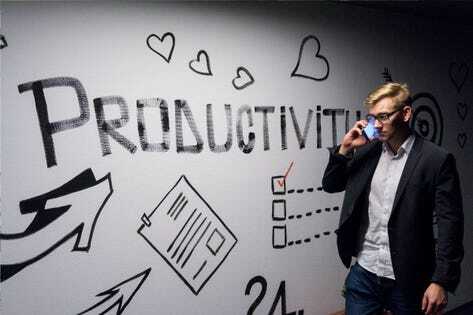 It is difficult to define productivity in simple terms. Being productive is not a straightforward concept. In simplest terms, being productive is defined as the rate of output per input unit. These tools can support in setting clearer goals, managing tasks, and deadlines and creating seamless synchronizations between various platforms, services and people.